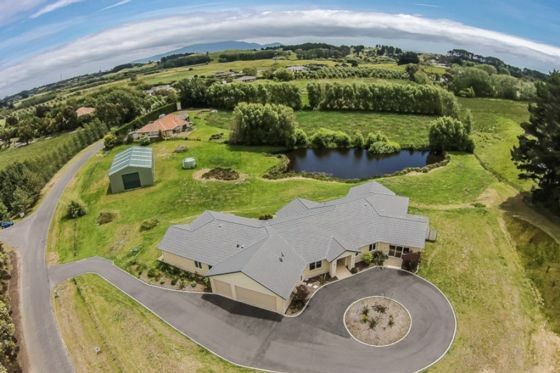 Edenland house offers a relaxing lifestyle accommodation in Kapiti Coast which known as the Nature Coast famous for its abundant birds life, beaches, island reserve, bush and river walks. This almost 500m2 contemporary house sits in a rural lifestyle setting, yet is only a short drive away from beach, cafe, shopping mall, golf course, antique car museum and many more attractions. A separate guest wing consist of bedrooms? guest bathroom and separate toilet, provides a private homestay experience, while the centred open living area provides an expansive space for entertainment or social opportunities. There'll be only one group booked in at a time. Guests have access to bedrooms in the guest wing, lounge, kitchen and dinning spaces, outdoor BBQ area, livestock paddock. Friendly family hosts Yanni and Coco are always happy to meet and greet guests. Guests can expect to have as much privacy as required, as hosts stay at another wing at the end of the house mostly if not out and about. Hosts are also happy to interact with guests, provide info on local attractions and help organising tours and activities. Home cooked dinner with local seafood, fresh produce, cooked in authentic Chinese style i.e. stir fry, stew, dumplings, may be provided at extra with prearrangement. Host Yanni is an experienced seafood gatherer. He may be able to provide a fully equipped seafood gathering experience in the nearby beaches by prearrangement, subject to weather and tide conditions. - Edenland suits self-driving guests. - Waikanae metro train stations are 4min away and gives direct. - access into central Wellington on a frequent basis. Wellington is 55min by train or 50mins driving. - Kapiti airport is 20min away and has flights to Auckland daily. The guest wing of the house was spacious and clean and comfortable bedrooms and bathrooms. The guest wing of the house was spacious and clean and comfortable bedrooms and bathrooms. Close to the State Highway 1 and 59 minutes north of Wellington. Great coffee shop in walking distance. Beautiful home stay property in a good location - very peaceful and a short drive to great Cafes at Waikanae Beach. Yanni, Koko and An An were a delight to stay with and were very welcoming and accommodating to our family and visiting friends. Would highly recommend staying here. a very peaceful location -good for escaping the city life!